Cosmetics are an essential part of most women’s life all over the world. They use foundation, lipstick, blush and mascara on their faces religiously. It’s completely a waste of words to say makeup is not necessary, most men of course say that they prefer natural women, and trust me they only say that. A little mascara and a dab of blush on your cheeks or a color on your lips can really do wonders. Cosmetics have been an important, integral part of human life for decades. But the difference between now and then is we have come a long way with the ingredients we use to prepare makeup, technology and science has allowed us to use natural ingredients for the enhancement of beauty, today multibillion cosmetic industries are so scientifically advanced that it can provide you with every kind of beauty enhancement product at your doorstep, without causing any harm to your skin (unless directions are not followed correctly for some products). 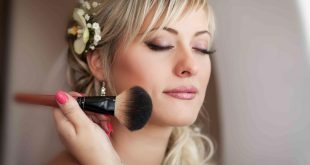 There are various companies, which have been proving themselves for years providing high quality cosmetics to bring out the beauty in you, everyone has their own preferences and list of companies that they go to for makeup products. Here are five international makeup brands, which are on the top of this list, highly rated for the quality of their products and are highly preferred by most of the consumers. M·A·C Cosmetics, Makeup Artist Cosmetics, was founded in Toronto, Ontario, Canada by Frank Toskan and Frank Angelo in 1984. The first U.S M·A·C store opened in 1991, in New York. They offer great concealers, the quality of their Sheertone blush and traditional cream blush is also very impressive, have several very good mascaras and also include UVA-protection ingredient. Makeup brushes are also one of their strengths. Normally, makeup from other stores doesn’t look good in bright lights and doesn’t stay on for long, but M.A.C makeup is created by the developer to cope with all challenges including bright lights and hot atmosphere. It is good for all the ages, races and all the sexes, which is also the company’s motto. They have variety of cosmetics, ranging from eye makeup, lip makeup, skin cosmetics to body treatment. Quality of their products is quite high and price is medium as compared to their other rivals and a bit expensive for some products. Cosmetics produced by M.A.C are designed to look good as well as remain soft on the skin without leaving any harsh effects. They offer decent options in almost every category, excellent cheek tint, shiny eye shadows and other brow products. They also provide good quality makeup brushes. Their products are bit expensive, but the products are worth the price. They offer every high quality and offer super pigmented colors. It is a highly rated and preferred brand throughout the globe, for its high standard products. Urban decay is also used by many makeup artists. In their own words, from catwalk-inspired cosmetics to cutting-edge skincare and timeless fragrances, Christian Dior has brought us some of the most luxurious, trendsetting, and fashionable beauty products around. It’s this magical mix of couture-meets-cosmetics that not only attracts celebrities, supermodels, and the society set, but also has solidified Dior’s reputation as one of the most unabashedly stylish beauty brands in the world. Dior makeup is always well-designed and attractive, offering products in every category. Most notable change is their improved foundations and shades. Their products also include UVA-protecting ingredient. They are also working to meet dermatologist-recommended benchmarks for sun protection. Make Up For Ever (MUFE) is a Paris based brand offers a variety of makeup collection, ranging from theatrical and fashion makeup. This company was created by Dany Sanz and Jacques Waneph in 1984and since then they are trying their best to provide best makeup collection. Their strength is good collection of cleansers, make removers and lip balm, which they offer. Their line of foundations have many wonderful qualities, impressive shades of powders and shades, a huge range of eye shades, lip glosses, blushes and lip colors. Shimmer line and mascara collection is also remarkable. Chanel presents their makeup in a deserving status; their products contain avobenzone or titanium dioxide. Though some of their products lack UVA-protection, still these products are good for skin and tested. Packaging of their products is also very attractive. They offer sleek and elegant packaging; sunscreen produced by this brand contains UVA-protection. They have a huge variety of quality cleansers and scrubs; also offer two fantastic foundations, and concealers. They also have a good line of mascaras, and a sheer lipstick. Eye shadows are also good and have shimmer effect.